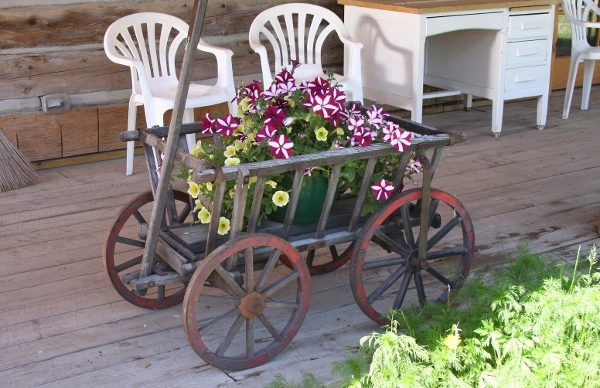 This year, after displaying and painting in the Lake City Art Gallery for the past three seasons, I’m going to have my own Gallery and Studio in what we’re calling, “The Paintin’ Shed Gallery & Studio”. 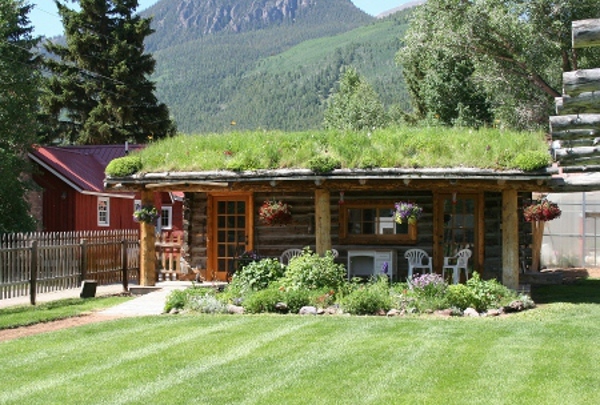 For years this structure, an old sod roofed, log cabin, was a Nursery that sold plants and numerous garden and gift items, becoming a fixture in the Lake City culture known as the “Pottin’ Shed”. Unfortunately, due to a number of reasons it shut down few a few years back, standing vacated and dormant since then, the owners Danny & Nancy Milski talked with me about coming in, opening it up and starting a gallery. After not much thought I said that I would try it and see if it might would work…. We decided for the sake of continuity, following the theme of the original “Pottin’ Shed” that we’d call the new place the “Paintin’ Shed” and albeit that the new sign isn’t quite as large as that of the old one, it still hangs in the same spot. The place really didn’t need that much work on the outside, other than some annual flowers planted in the front garden and on the roof that allowed for color prior to the perennials starting to blossom. Aside from that the yard and roof are maintained by a zoned sprinkler system and is mowed weekly by an Oklahoma transplant Gary Marlow, who has the yard looking like a lush golf fairway. The interior needed most of the manual labor, whitewashing the walls, painting the floors, covering the windows, refurbishing the display case, installing internet and credit card processing equipment…. After about three weeks the transformation was complete and what had started as a rather dusty, dank storage space, had become a bright welcoming art gallery. 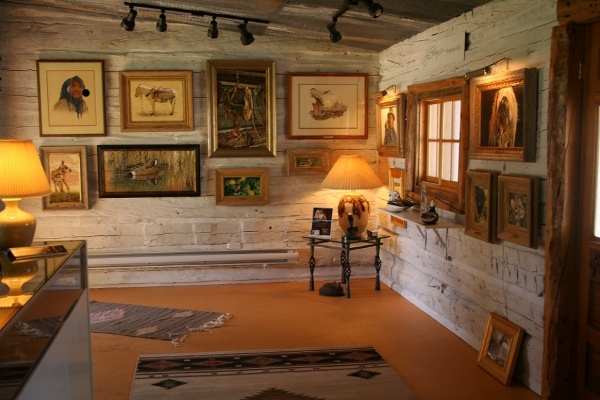 The white washed, log walls seemed to fit my Western and Wildlife Art perfectly along with several Indian rugs placed on the floors everything worked in harmony. Since opening the first week of July our only glitch was something completely out of our control, wherein AT&T went out for two days rendering our Credit Card machine inoperable. Aside from that we’ve had a good influx of customers, some nice sales and a continual stream of folks either walking by the front fence taking pictures , or driving by and stopping, rolling down the car window and shooting some quick pics….we’ve also become a favorite backdrop for wedding parties wanting some unique images for their special Day…. With that, there will be more to come as the summer progresses…….